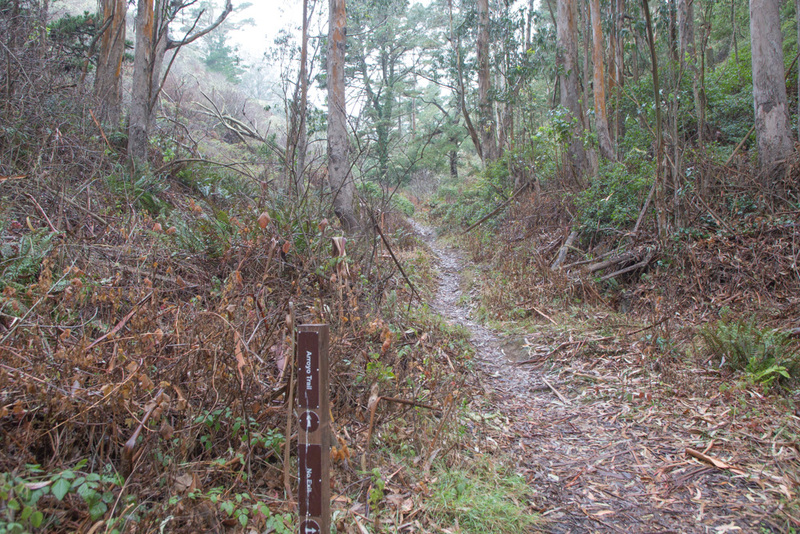 The Arroyo Trail winds through a narrow canyon between the north and south ridgelines of the Headlands. It goes from a dense eucalyptus forest past coastal scrub vegetation to the ocean bluffs. In winter, a small stream flows down the arroyo. Along the way you can see repair efforts on the hillside erosion caused by years of motorcycle usage. This damage has been largely concentrated on the lower growing, dry version of coastal scrub on south-facing slopes. 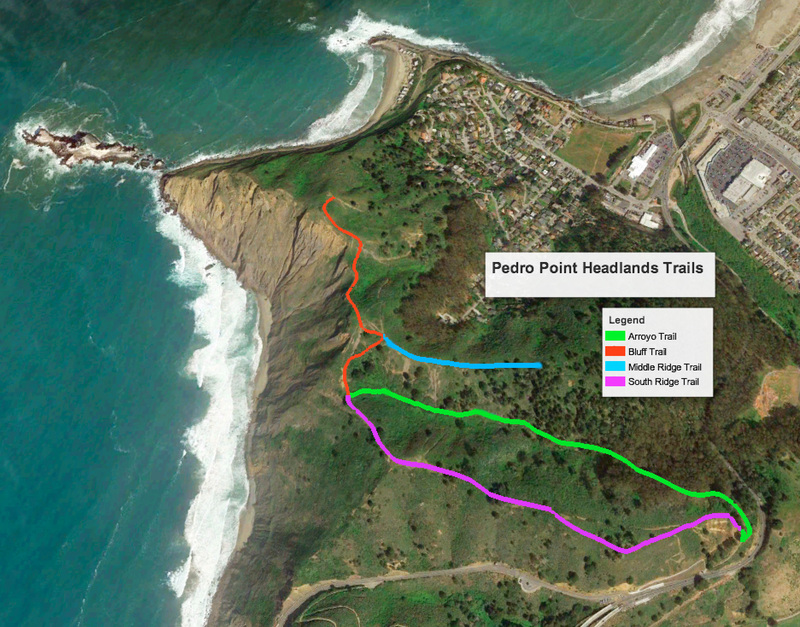 The Arroyo Trail presents a great example of the effect of slope on coastal vegetation. On the south side of the trail, the north-facing slope is dominated by cool, moisture-loving plants such as red elderberry, sword fern, and ocean spray, along with the more common coyote brush. On the north side of the trail, which faces south, a warm, drier version of coastal scrub is dominated by California sagebrush, sticky monkeyflower, and low-growing coyote brush. You may also see Douglas iris, stands of purple needle grass, and dense patches of blue blossom and wax myrtle.